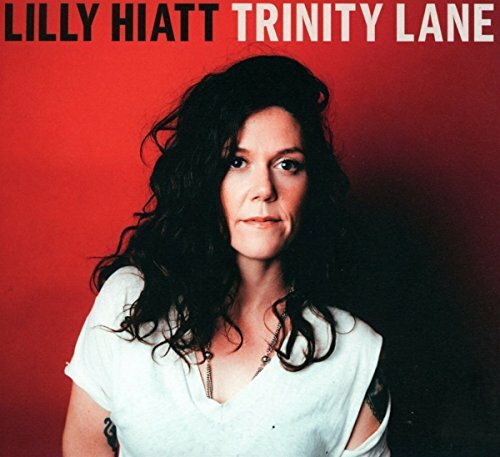 Lilly Hiatt April 2018 UK Tour. 'Trinity Lane' is now available in the UK via New West Records. The intensely personal, autobiographical album was written largely upon her return, in isolation, facing the issues she escaped while on the road. Every time she wanted a man, she picked up her guitar. Every time she wanted a drink, she picked up her guitar. Hiatt says, "Love will take you to the darkest places but also the most honest places if you let it. Learning how to love myself is something I’ve always been lousy with, and I spent some time on that. I thought about my sobriety, what that means to me, the struggles I’d had throughout the years, since I was a 27-year-old and hung up my toxic drinking habit. I thought about my mother, who took her own life when I was a baby, not far from my age at 30 years old, and I related to her more than ever. As you can see, there was plenty of time spent on my own. I didn’t talk to that many folks, albeit a few close friends, and leaned into my family. I stayed away from men, and danced alone in the evenings, looking out my window observing my humble and lively neighborhood. I found power in being by myself. I found peace in the people I was surrounded with - we didn’t really know one another, but we smiled when passed on the street. One time I almost rear-ended an older woman in her car backing out of my driveway and I said, ‘Oh man, I’m just not used to any cars coming around this bend. She replied, ‘This is our little hideout, baby,’ And it really was." She continues, "After a while, I had all these songs to play, and wanted to share them. I wanted to get out of town to get some distance from everything, so after an ongoing conversation with Michael Trent, I took my band to Johns Island, SC and we holed up for a few weeks. I poured my heart out, and trusted them with it, and these guys gave it right back. I think we all understood what it’s like to question home, intention, demons, love...I think most people understand that." Red Guitar Music is a participant in the Amazon Services LLC Associates Program, an affiliate advertising program designed to provide a means for us to earn fees by linking to Amazon.co.uk and affiliated sites.